9 East Wright Avenue Waterloo, NY. | MLS# R1171199 | Coldwell Banker Finger Lakes | 315-789-6768 | Geneva NY Homes for Sale, FINGER LAKES PROPERTIES, Seneca Lake, Cayuga Lake, All of the Finger Lakes. This grand brick colonial home is filled with original character and charm. 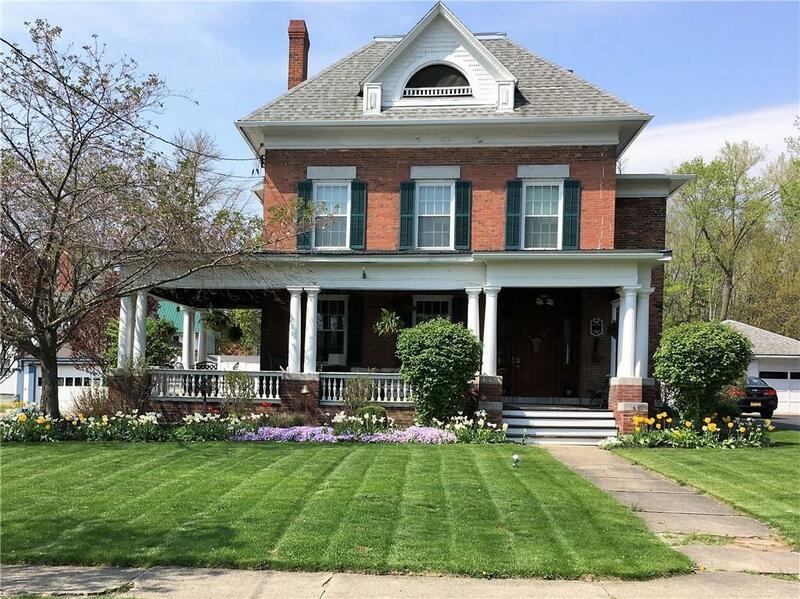 Built in 1886 this home boasts 3708 Sq Feet of living space, 5 Bedrooms, 3 full Bathrooms, Stunning entry way foyer, large front living room with wood burning fireplace, formal dining room and back family room. This home is an entertainers dream with the large updated open eat in kitchen/ living space leading to an outdoor entertaining area with in ground pool and spacious partially fenced .48 acre village lot. The home owners have done many additional updates including all three bathrooms, new and refinished flooring throughout and adding a large convenient second floor laundry room. You will love the amazing wood work though out and relaxing on the large front porch. Directions To Property: From 96 Turn On To Virginia Street, Turn Left On To E. Wright Ave., Home Will Be On Your Left.